The Collision Industry Conference has posted its agenda for the August sessions in Atlanta – just in time for repairers, insurers, suppliers and others interested in the issues to make travel plans. The third-quarter CIC will be held Aug. 7-8, the Tuesday and Wednesday of NACE Week, at the same venue as the collision repair trade show: the Georgia World Congress Center. NACE itself runs 10-4 p.m. Aug. 8 and Aug. 9 and 10 a.m.-2 p.m. Aug. 10. If you’ve never been to a CIC before, it’s kind of like those summits world leaders are always holding. The conferences offer an opportunity for all of the different interests in the collision repair ecosystem can discuss and teach each other about some of the industry’s hottest issues. Also, it’s a fantastic chance to network. The August CIC runs 1-5:15 p.m. Aug. 7, with a reception 5:30-8:30 p.m. that day, and from 8 a.m.-noon Aug. 8 at the Georgia World Congress Center. Registration is $75 at the door; $65 in advance. Check for hotel availability by checking online here. “Overview of some repair facility business model changes that may start to show up and how they could impact other stakeholders,” the agenda also states. Three potential areas of discussion come to mind. First, OEMs have said or suggested they plan to refer customers directly to certified shops following a crash the car the automaker can detect through telematics. Ford research indicates customers want an automaker’s suggestion of a shop far more than other referral sources, including insurers, IBIS reported. This influence makes an OEM certification even more valuable — though it also transfers more power to the automaker in the shop-manufacturer relationship. Meanwhile, shops who’ve tied their fortune to referrals from an insurer or are attempting to proceed without any network affiliations might have to adapt their business strategies. But insurers are making changes in their direct repair programs as well. Performance-based agreements – which can carry direct financial penalties for noncompliance – seem to be a significant factor. Carriers also have the technology to deliver their own variation on the gameplan of detecting a crash and referring customers to direct repair programs. Another business model of note advocated by some experts recently involves opting not to negotiate with insurers at all. Legally, this might be all the shop can do anyway under public adjuster laws. Instead, the shop behaves like a doctor’s office, billing the customer for anything a carrier refuses. The customer (whom the insurer alienates at their peril) can then battle the insurer to reimburse the balance. This year’s legislative season has seen bills calling for OEM repair procedures. It’s also seen insurers attempting to argue that methods other than OEM repair procedures were equally appropriate ways to fix a vehicle body. 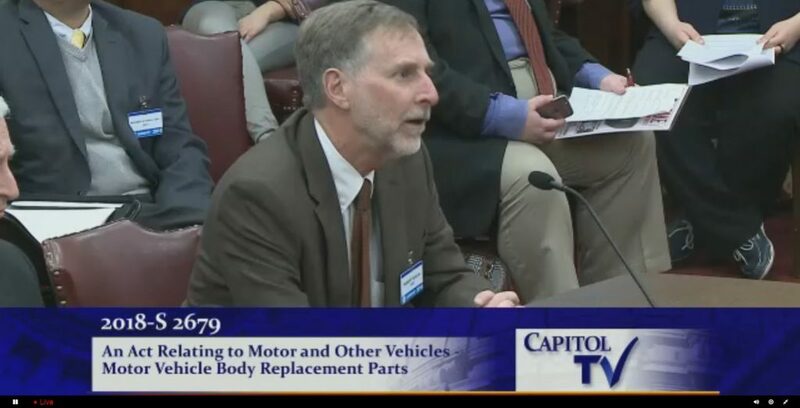 In nearby Indiana, Insurance Institute of Indiana and State Farm lobbyist Jon Zarich in February introduced an amendment to an Indiana Auto Body Association-backed bill that would have protected repairers who fixed vehicles with OEM repair procedures — or with “generally accepted industry standards.” The amendment also would have eliminated assignment of benefits rights. The Indiana House actually approved the legislation despite the IABA yanking its support, but the Senate filed a dissent. He said I-CAR “sets standards for repair of cars, widely accepted in the industry” and any difference between I-CAR and other repair manuals “should be a discussion with the repairer” so the vehicle was fixed properly. Jina Petrarca, who was representing Providence Auto Body in support of the bill, explained to the committee later that I-CAR also says to follow OEM repair procedures. 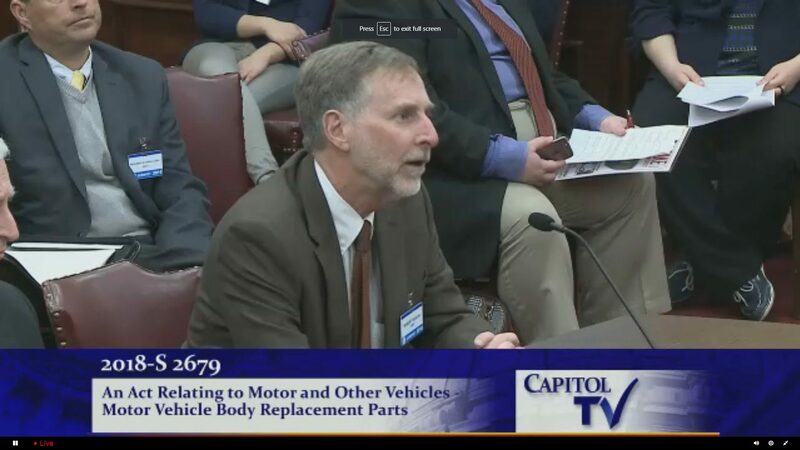 The language at the end of a largely auto parts bill raises questions for the industry — including whether it bans aftermarket and recycled parts and how many model years must receive OEM repair procedure deference from insurers. Such issues should make for an interesting conversation at CIC. Immediately prior to that presentation will be an Education and Training Committee Task Force Update at 8 a.m. 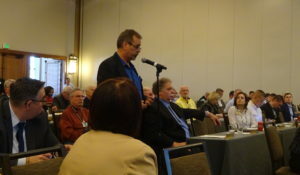 The credentials issue was discussed at the April CIC. Peevy said then he’d like to see promotion that repairers should be earning and requiring professional credentials, and the task force sought to compile a list of what was available today. According to Peevy, 1 in 10 landscaping company owner and managers has an industry credential. “They’re ahead of us,” he said. In the medical field, 75 percent of a hospital’s staff has professional credentials, he said. It sounds like the second part of the discussion will build upon a concept Amberson put forth at the April CIC. Amberson suggested during the spring Emerging Technologies Committee session that shops have a “unique technician” on hand for scanning, calibration and work on advanced driver assistance systems and supplemental restraint systems. This tech would have a mix of body and mechanical labor skills, and Amberson proposed they carry a different labor rate classification in estimating systems reflecting their hybrid role. Special presentations by the Women’s Industry Network (9:45 a.m. Aug. 8) and National Auto Body Council (3:45 p.m. Aug. 7). An Automotive Anti-Counterfeiting Council presentation courtesy of the Parts & Materials Committee wrapping up the show at 11 a.m. Aug. 8. 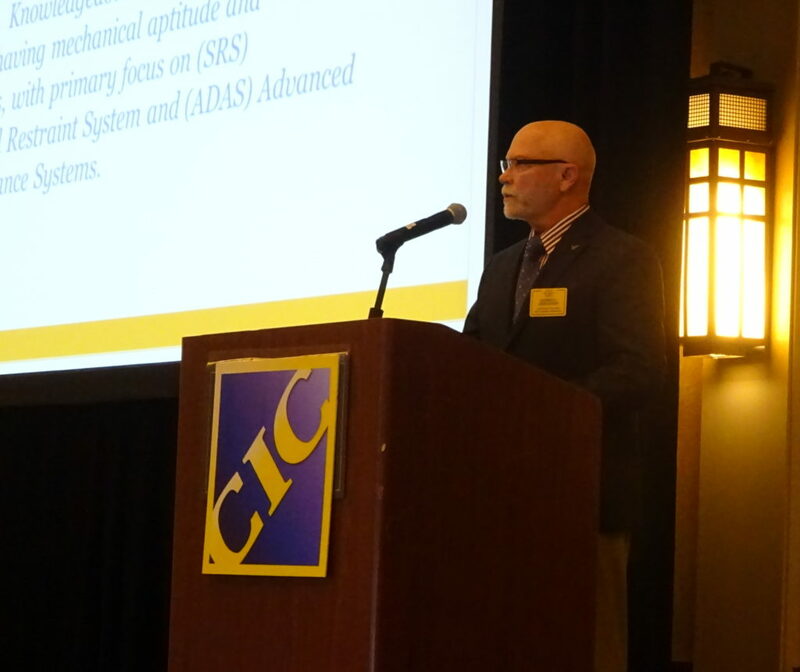 Collision Industry Foundation board meeting: 2 p.m. Aug. 8, Room B317.